Time for a Holiday Sale! The sale runs through Cyber Monday, and lets not forget about Small Business Saturday. The whole weekend should have special names, so how about Sale Crazy Sunday. There we go. Now, in plain English free of capitalist nicknames, my Holday sale starts on Friday Nov. 25th and runs until midnight on Monday, November 28, and the coupon coe HOLIDAY11 gets you 20% off your entire order in both the DWITT Market and my Etsy Shop. 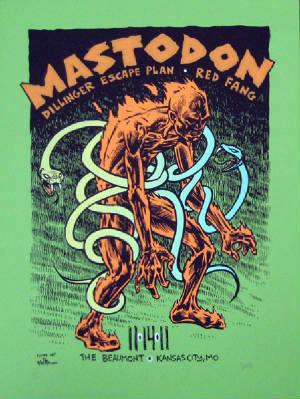 My second poster for Mastodon on their current tour is now available for purchase in the DWITT Market. Get your copy HERE. This weekend in Minneapolis, I am a proud exhibitor at this year's Minneapolis Indie Expo, or MIX for short. From 10 am -5pm on November 5th & 6th, come to the Soap Factory and relish in a smorgasborg of independent comics! It's completely free to attend, though I do encourage you to bring money to buy some work from the dozens and dozens of exhibitors. I will be at booth #29, stop buy and say 'HOWDY!' for a free mini art print! This weekend I also have a print debuting in Richmond Virginia at the annual Screens 'n Suds event, which benefits MS research. 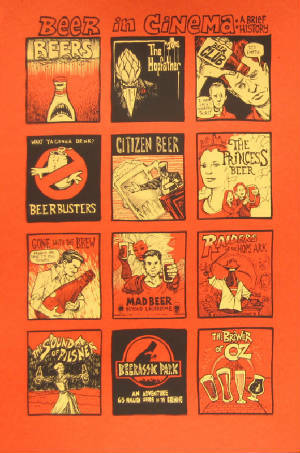 I call my print Beer in Cinema, and will go on sale Monday, Nov 7th in the DWITT Market. 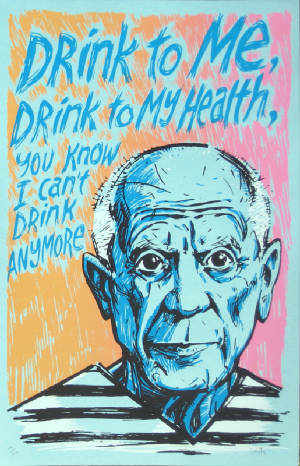 and the 6th print in my ongoing Last Words series goes on sale November 8th, and features art legend Pablo Picasso. Get your copy HERE in the DWITT Market.